The organisation’s main focus areas are; developing potential in people, building strong families forming partnerships between corporate companies, training institutions, churches, non-government organisations and government organisations. Beautiful Life Training and Community Development Association offers support to families in distress due to high unemployment and economic pressures experienced by families living in disadvantaged communities on the Cape Flats in the Athlone and Retreat district .However our services are not area based, it’s need orientated and is accessible to all communities. We use the local libraries as contact centres where we engage with community members. 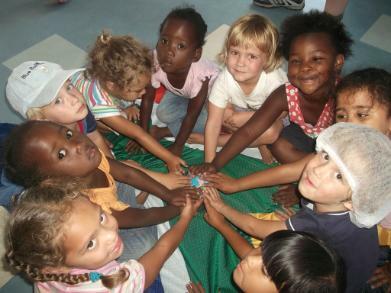 Beautiful Life Training & Community Development NPC is a model which our community development partners may duplicate in other communities in South Africa and globally under the auspices of Beautiful Life Training & Community Development NPC. Beautiful life Training & Community Development Association was established in March 2010 by Wendy La Vita, who grew up on the Cape Flats in a disadvantaged community. Beautiful Life (TCDA) was established as a result of her own experience as a member of a dysfunctional family and the lack of social cohesion in the communities on the Cape Flats. Psychologist Dr James Dobson’s programme “Focus On The Family” inspired her to pursue a career in Family Counselling which is one of the key services offered by Beautiful Life TCDA. “The unemployment rate in South Africa rose to 27.5 percent in the third quarter of 2018 from 27.2 percent in the previous period. It was the highest jobless rate since the third quarter of 2017, as the number of unemployed increased by 127 thousand to 6.21 million. Meantime, the number of employed advanced by 92 thousand to 16.38 million. Unemployment Rate in South Africa averaged 25.60 percent from 2000 until 2018, reaching an all time high of 31.20 percent in the first quarter of 2003 and a record low of 21.50 percent in the fourth quarter of 2008”.